There have been two previous Hollywood movies made about the 1976 hijacking of Air France Flight 139. 7 DAYS IN ENTEBBE had a very brief run in Brisbane cinemas back in March and has now been released on DVD. It stars Eddie Marsen (DEADPOOL 2 (2018) – ATOMIC BLONDE (2017), Rosamund Pike (GONE GIRL (2014) – JACK REACHER (2012) and Danial Bruhl (BLACK PANTHER (2018) – THE ZOOKEEPER’S WIFE (2017). The film is helmed by fifty year old Brazilian producer, director and screenwriter Jose Padilha (ROBOCOP (2014). The 1977 telling of the story starred Charles Bronson and Peter Finch with the 1976 version boasting an all-star cast featuring Kirk Douglas, Elizabeth Taylor, Anthony Hopkins, Burt Lancaster, Richard Dreyfuss and Helen Hayes. There was also a 1977 Israeli made movie named OPERATION THUNDERBOLT, which was the military name for the operation launched to rescue the hostages. The true events that inspired all four movies began on 27 June 1976 when an Airbus A300 departed from Tel Aviv Israel, carrying 246 mainly Jewish and Israeli passengers and a crew of 12. The plane flew to Athens, Greece, where it picked up an additional 58 passengers, including four hijackers (two Palestinian and two German). It departed for Paris at 12:30 pm. Just after takeoff, the flight was hijacked and diverted to Benghazi, Libya. There it was held on the ground for seven hours for refuelling. During that time the hijackers released British-born Israeli citizen Patricia Martell who pretended to have a miscarriage. The plane left Benghazi and at 3:15 pm on the 28th, more than 24 hours after the flight’s original departure, it arrived at Entebbe Airport in Uganda. The Ugandan government supported the hijackers. Over the next week many diplomatic solutions were attempted to resolve the situation until finally on July 4th one hundred Israeli commandos inserted in the middle of the night to stage a highly successful rescue operation. Pssss. 7 DAYS IN ENTEBBE releases today on DVD in Australia. I may not feel a day over 52 but the unvarnished truth is… today I’m celebrating my 100th birthday. 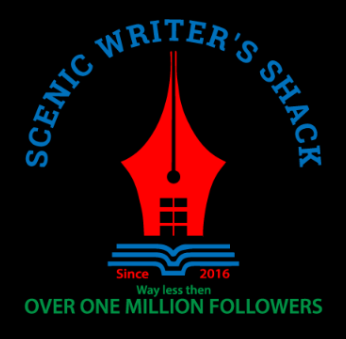 Or as I should say, SCENIC WRITER’S SHACK is kicking up its heels on the occasion of publishing its 100th post. As regular readers of this blog would know, Centenary occasions around here are usually marked with the arrival of a congratulatory letter from one of this blog’s foremost admirers, Her Royal Majesty Queen Elizabeth II. Sadly, this time around, no such letter arrived. In its place was an email that landed in my inbox in the early hours of this morning from the next best thing – His Royal Highness Prince Charles Duke of Cornwall, Earl of Carrick, Baron of Renfrew and Lord of the Isles (to give him his full due). Firstly, allow me to pass on sincerest apologies from my mother Elizabeth who at this time has found herself predisposed with other royal duties at Harrods Kensington. She sends her heartfelt congratulations on the occasion of your 100th published post and has petitioned me to contact you on her behalf. If memory serves me correctly (which these days I confess sometimes it does not) my first experience with the SCENIC WRITER’S SHACK occurred sometime last year while we were warming the royal footsies by the Swarovski crystal fireplace at Balmoral. I recall that former young rascal now respectably married son of mine Harry was laughing in the most undignified fashion. I was about to chastise him (it matters not that he can pilot an AH-4 Hellfire missile-equipped Apache helicopter – I would take him over my knee today just as soon as I did when he was a wee lad) when he showed me on his mobile phone the cause of his merriment. It was your post last year entitled “How Old is Too Old to Wear a Band T-Shirt?” Against my better judgement I momentarily came to share Harry’s view that this was indeed a real knee-slapper. I have found myself a loyal reader of your weekly antics ever since. I have stared in amazement at reports of icecream handbags, chuckled at the prank played on Oxley Golf Course and cheered your battles against the likes of ParkRun noisemakers and sliding vanilla slice standards. Having celebrated my 70th birthday back in May, age has granted me the certainty to know and recognise quality shenanigans when I see them. 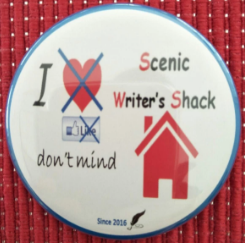 SCENIC WRITER’S SHACK has and is that quality. May your little literary venture prosper for many years to come and endure like the rare metal tungsten. ‘An odd thing to say’ I hear you remark. Certainly, yet you may have read that is my term of endearment (nickname) for my daughter in law Meghan Markle. She loves it and now I hope you do too. P.s Do you partake of jam-on-top cream teas down there in Australia land? If yes, please go ahead and shout yourself one on my behalf. This is your day! Psss. 2018 will play host to a second royal wedding when Princess Eugenie ties the knot with fiance Jack Brookshank (former manager of the popular London nightclub Mahiki) on October 12 in the same venue as Prince Harry and Meghan Markle‘s ceremony back in May. Word is Princess Eugenie is planning to enforce a strict ‘no plastic’ rule at her nuptials. That’s fine ’cause most people wouldn’t have her pegged as a plastic cups, knives ‘n forks gal anyway. Why did I pair a picture of the Royal Genie with a character from the retro television series LOST IN SPACE ? The plain-for-all-to-see headwear match of course! A resplendent marble ballroom is alive with the sound of champagne-enhanced chatter. Tuxes and gowns adorn the invited A-listers from among the Australian Children’s Writers’ fraternity who are attending the gala event. Andy Griffith brushes past the press line on the way to sampling another piece of coconut-stuffed naan bread from the buffet table. Paul Jennings is working the room like a politician up for re-election. Jacqueline Harvey is rocking it in a figure-hugging sorbet green dress with matching drop earrings while pretending not to notice Morris Gleitzman doing silly poses behind her. And Matt Potter holds court under the light of the pineapple shaped crystal chandelier before making a beeline for someone he thinks is Stephen King only to realise he’s now engaged in conversation with the head of catering. And then the moment everyone has been waiting for arrives. A woman from the publicity department appears at the top of the staircase and announces the star is finally about to make an appearance. All conversation stops and the orchestra begins to play. Every eye is directed to the top of the stairs. Deborah Abela is standing there. She looks down at the expectant faces and they look back. As she begins her graceful descent with one white-gloved hand all the time clutching the banister rail, the crowd realise that soon this literary god made flesh will be among them and a collective sigh echoes throughout the room. Deborah, you’re the author of more than 20 novels for children. Could you tell us what you’re working on at present? The third book in the Grimsdon series. Grimsdon is about kids who survive in a flooded city and after that I wrote New City because readers emailed demanding to know more. And now I’m writing the third book because I had even more emails. This will definitely be the final. It comes out in 2019. I’m also working on a new picture book about a bear who doesn’t fit in. A name has to be like the character…so sometimes it’s easy….like Xavier Stone who is a very confident hero in Grimsdon or India Wimple who is a shy girl in The Stupendously Spectacular Spelling Bee, but other times it’s harder. I usually have to try a few different names before I find the one that’s just right. Do you think someone can be a fiction writer if they don’t feel emotions strongly? Oh that’s a fascinating question! All writing is about getting inside a character’s head….so if you can’t feel emotions, how can you know what a character is thinking and feeling? It’d be tough! Have you ever written under a pseudonym or been tempted to adopt the credibility boosting ‘initials- for-name’ moniker favoured by the likes of D.H. Lawrence, J.K. Rowling, H.G. Wells, C.S. Lewis, T.S. Eliot, J.R. Tolkien etc? No pseudonym but the Max Remy series was published in the UK under my initials D. Abela. I wanted my whole name but the publisher thought it would be better that the readers didn’t know whether I was a male or female. I still think it’s a strange decision. What other authors are you friends with? Oh my! Most of my friends are authors and illustrators….like Oliver Phommavanh, Andy Griffiths, Sarah Davis, Susanne Gervay, Jules Faber, Tristan Bancks, Marjorie Crosby-Fairall, Gus Gordon, Jackie French, Ben Wood, James Foley, Jacquie Harvey….there are so many lovely people who make kids books! The novels listed below all concern themselves in some way with the writing life and feature central characters who are authors. Have you read any of them? Oh no but they look interesting. Oh so hard….but I’d have to go with Mary Shelly and Jane Austen. Monsters and feisty women…perfect! Favourite TV show of all-time? If you were gifted a yacht what would you name it? Mind, once a year, for someone with your kudos, could be considered an act of restraint. Once a month would be perfectly acceptable and within the ‘normal’ range. Once a week – mildly excessive. Daily – a red flag for acute boredom or something more serious. About once every few months. I’m not a fan of seeing myself in pics or videos and I rarely read reviews. You can live any year of your life over again. Which year do you choose and why? 2016….I went on a big adventuring holiday to celebrate a big birthday….there were hikes, friends and parties and I loved every minute. And to finish off Deb, just because I know we’re both born in the same year – so I’m quite certain you’ll remember them – which ONE of these back-in-the-day chart-toppers gives you a ‘pinch yourself’ nostalgic fandango boost (a description lifted straight from my eight-year-old daughter’s favourite cartoon SLUGTERRA) above the others? None sorry……I was obviously listening to different radio stations….I’m not sure JJJ would ever play any of these groups. If an event or an attempt to do something falls flat, it is completely unsuccessful. Ps. 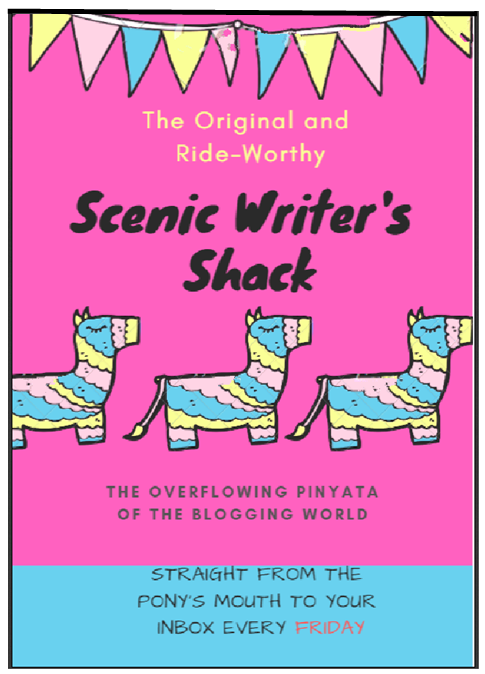 The final interview question may have missed its mark but this was still one of SCENIC WRITER’S SHACK‘s favourite and most fun author interviews to do. Just so you know.. Thought I was done with the goading ‘Who’s got the better music?’ gee-up? It is all too easy for the kids music to put you in a bad mood when it’s played at full volume from their bedroom. But there may be another reason it gets to you – today’s tunes are more depressing. A study has found that music from 2015 is about 20 per cent more unhappy than it was in 1985. Upbeat pop from the likes of Wham! and Duran Duran has given way to the heavyweight ballads of people such as Adele and Ed Sheeran. Researchers at the University of California, Irvine, analysed more than half a million songs released in the UK over 30 years to judge how music has changed. They found songs are less happy and “bright” than they used to be, based on a mathematical formula judging elements such s pace, rhythm and major or minor key. Lead author Dr Natalia Komarova said: “The whole reason I started this study was because I was listening to the songs my teenage daughter played and thinking, what on earth has happened to music? Part of the blame for this trend in happiness might be related to social media. The social isolation of young people might play a role – perhaps that is being expressed through current music”. I’m as cynical as the next person (maybe more) when it comes to the findings of so-called ‘scientific studies’ but I’ll admit to relishing a ‘Yes!’ moment while reading that article. While it’s tempting to point to the weight of the ‘evidence’ of 500 000 songs being put under the microscope with the resulting conclusion that today’s music hasn’t quite got the spring in its step of previous decades and say “I told you so!”, I’m gonna use every morsel of willpower I have left coursing through my veins and fight that urge. Be that as it may, magic, and lots of it, still happens today. Of course it does. Case in point is what I’m gonna call the coolest ad currently running on Australian television. Check it out HERE – but be warned the brilliance is not fireworks variety – more understated and ‘chilled’ which, come to think of it, is very Millenial. Falling in love with that ad had me go hunting with the zest of a rampaging cheetah zeroing in on a fleeing wildebeest calf for the music in that commercial. I found it. The song is called MAKEBA and was released back in 2016 by French singer Jain. It peaked on the French Singles Chart at # 7 and has also been used in a commercial for Levi Jeans. Ps. Can’t sign off completely without mentioning a novel that touches on some of the generational differences in music these last few weeks of posts have centred on. A VISIT FROM THE GOON SQUAD won the Pulitzer Prize (the Oscars of the Literary World) for Fiction back in 2011 and was written by American author Jennifer Egan. It tells the story of an ageing Record Executive (back when they had records) who heads a company producing and marketing modern music artists he can no longer stand. It’s a story essentially about growing old in the digital age. Psss. This week’s ‘Total Crack Up Award’ goes to the image makers who have banned Disney’s just released CHRISTOPHER ROBIN movie in China because leader Xi Jinping is prickly about physical comparisons between him and the character Winnie the Pooh. When you see the two side by side, I can kind of understand the sensitivity..
Last week, a person purporting to be me launched what amounted to nothing short of a marathon blitzkrieg aimed at belittling and tearing strips off modern music. The kicks and punches came flying in wild succession amid a barely disguised all-out assault on young millenials and their alleged lack of taste and discernment in ‘tunes’. uninspiring and dull 4th-rate tripe that doesn’t even get your fingers tapping on top of a car steering wheel. An attempt was then made to tighter the noose further with reference to a selection of songs from the 80’s & 90’s – all reputed to showcase the sort of bounce, energy and dash ‘real’ music has in spades. The whole critical shebang sent mini-shockwaves of controversy across the internet (ok, it received one reblog from JaeDee (HERE) who went so far as to call it a “hilarious self-described rant so entertaining (but also thoughtful) I think I need to give it a reblog just to keep up with it” but I’m still gonna label that a mini-shockwave). With the critical blowtorch set on high throughout, the unrelenting vitriol was all a bit much. Life got you down a little has it? Someone not feeling as significant as maybe they used to? Worry not, for salvation lies within the misguided wisdom of your own words from last week. Don’t worry – it’s safe to read on. We’ll be gentle, and as you’re the first to admit, our kind already come naturally ‘chilled’. were sufficiently good enough to be exempted from your flame vortex of critical opinion. Rejoice then young-at-heart kind sir, for this means there is hope that your mind is not yet wired shut to the possibility that good music may originate not just from your… how do we put this… ‘heyday’? In fact, pausing for a moment for some inner accounting, we may see things are not as bleak as you may have first convinced yourself they are. Liking three songs out of 30 gives you a bullseye ratio of 10% hit – 90% miss. Now think back to your glory days of the 70’s 80’s & 90’s (if you can remember that far back Ooops! We promised this rebuttal would be delivered in a respectful manner and so it shall!) and honestly tell us if listening to the radio back then would have delivered any greater number of ‘keepers’ than the 10% hit – 90% miss ratio that you believe is at the center of your current unhappiness. Fact is, it so often turns out you’ve got to kiss a lot of frogs before you meet your prince or queen, whether it be back in the day or now. Sorry to raise the touchy subject of selective memory but we may as well expose the elephant in the room right now – you had more than two decades to accumulate the hundreds of ‘classic songs’ coming from that past era working on an identical 10% hit – 90% miss ratio to what would still apply today. How long did you listen to Nova radio for? A few short weeks? Even in that time you were able to unearth three songs you like. Imagine if you spent the next 20 years with your ear glued to current radio like you did when you were growing up. Then these current times would become your classic era. Beginning to see a little more clearly now? Once you’ve had one of those ‘ol skool vanilla slices we’ve heard you’re partial to and calmed down a tad, we’re confident you’ll agree it’s all a matter of how a person sees things. Some lads and lasses call that ‘perspective’ and apparently you oldies more experienced folk are supposed to have developed thimbles full of it by a certain age. Ps. Cheeky young rascals – calling me ‘Yoda’ and all. What were they implying – I’m old and full of my own self-perceived wisdom? Crash the internet! Surely not? Pss. Alright, maybe it is time to admit the era in which one grew up in will always hold a special place in that person’s heart, and really from all decades emerge ‘classic’ songs that live on in people’s memories. Does that sound old and wise enough for the young whippersnappers? in the intervening week an additional six songs have – how to put this – grown on me? Is it shocking? Roger that! I’m surprised as anyone and have to pinch myself to know I’m not dreaming. Liking 9 out of 30 songs (I’m fairly certain given another few days I could easily have found another song to add to the right side of the Heath ledger) brings the hit miss ratio up to more like 30% vs 70%. Even back in my heyday, with selective memory factored in, I’m pretty certain the like proportion was never that high. Unable to sleep one night this week I switched on the radio and listened to MMM GREATEST – a digital music station that plays ‘classic rock’ chiefly from my ‘golden era’ of the 1980’s & 90’s. In close to 90 minutes of listening, not a SINGLE song appealed. If that type of reality check isn’t enough to help me get over myself, nothing will.